Hernán Pinilla is a Registered Clinical Social Work Intern, available for counseling in Spanish and English. He sees adults, teens, and children 8 years old and up. Hernan offers individual, couples, and family therapy. He enjoys helping clients work through stress/anxiety, depression, adjustment (grief/loss, divorce, illness), marital issues, substance abuse and emotional trauma. Hernán earned his degree in Psychology in Colombia, his country of origin in 1995. In 2012, he obtained his Master’s Degree in Social Work from Florida Gulf Coast University (FGCU). Prior to completing his MSW degree, he worked in various positions including; Case manager at Catholic Charities, for The Career Laddering Program and Refugee Resettlement Program, Advocacy Counselor for Project Help, and Services Coordinator Early Steps. Since graduating from FGCU, Hernan served as a Clinician for two intensive Children’s programs at David Lawrence Center. In addition, he has worked at Avow Hospice as a Social Service Coordinator. 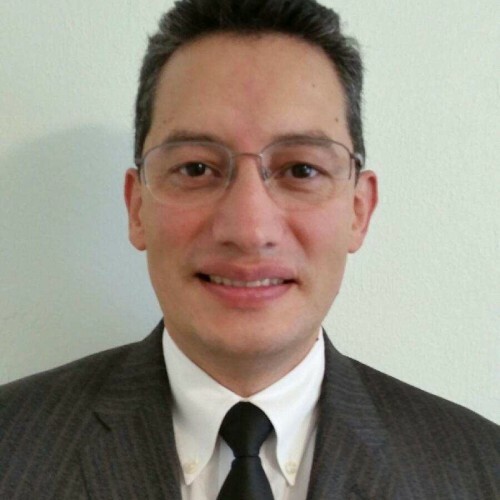 Hernán has been employed as an outpatient therapist at the Family Counseling Center of Catholic Charities since 2016. Hernan has a wide range of experiences in working with children, adults and seniors in both English and Spanish. His vast experience includes multiple modalities of treatment including individual, couple, family and group. Hernan has provided therapy in various settings including on-site in the Collier County Public Schools, in homes, the office and in the Collier County Juvenile Detention Center. Although Hernan is not a faith base trained therapist, he is a devout Christian Catholic and he is extremely receptive to utilizing the clients’ spiritual and religious beliefs and practices upon their request as part of their treatment.